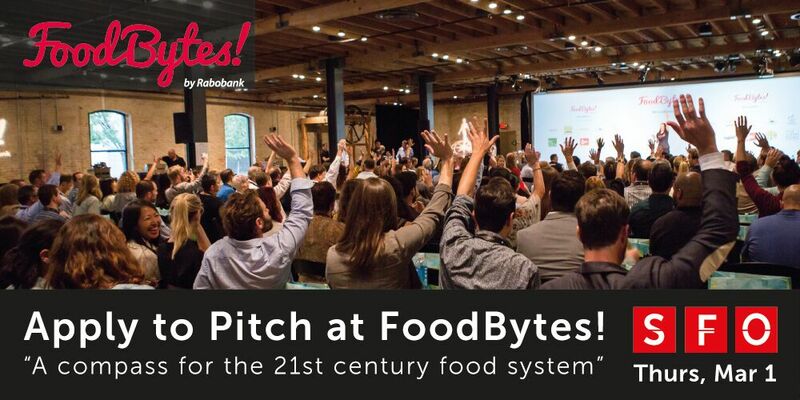 Give Your Startup the Gift of Growth this Holiday Season: Apply to pitch at FoodBytes! Next-generation food and ag pitch competition FoodBytes! 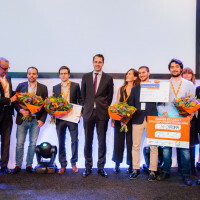 by Rabobank is heading home to San Francisco on February 28 and March 1. 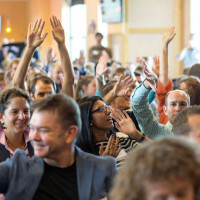 Get the connections, mentorship and capital you need to grow your business – learn more and apply to pitch by January 7. 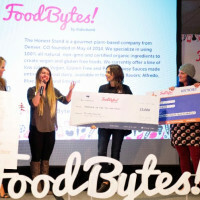 Food+Tech Connect has been a proud partner of FoodBytes! since 2015, and many of our past Meetup presenters and food partners have pitched on the FoodBytes! stage, including Back to the Roots, Imperfect, Vega Coffee, Beyond the Shoreline, Burlap & Barrel and more. What Will You Get Out of Pitching? Not able to make it to SF? FoodBytes! 2018 rolling applications are also open for Montreal (May 16) and New York City (Fall 2018).